Villa for sale with enchanting sea view! It is located in the north of Porto Rafael and is about 800 meters. from the center and from the beach. It is currently composed of n. 2 distinct but adjoining real estate units, which can be connected to the simple demolition of an internal dividing wall and thus become a single body. The first unit, larger, is as follows: entrance, corridor, kitchenette, dining / living room, n. 3 bedrooms, n. 3 bathrooms, n. 1 front covered veranda and n. 1 back covered veranda with attached barbecue. 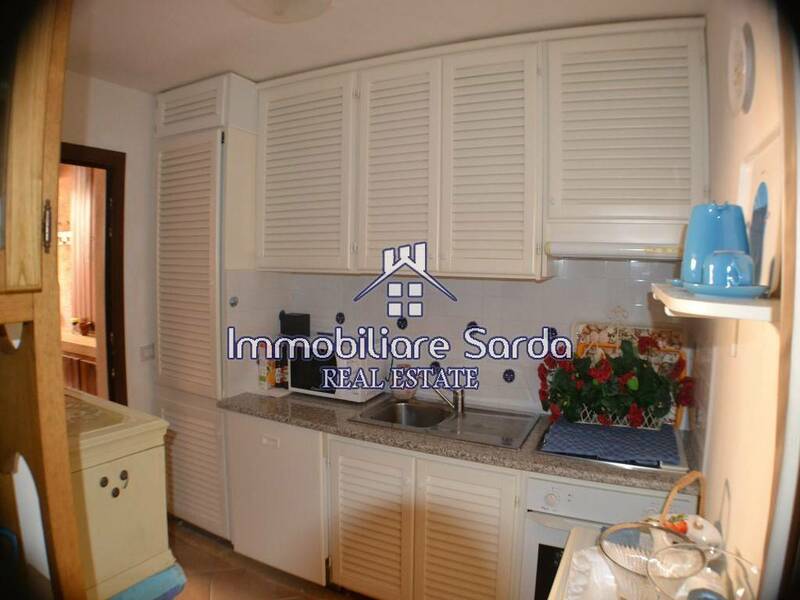 The second unit, smaller, is as follows: entrance, corridor, kitchenette, dining / living room, n. 2 bedrooms, n. 1 bathroom, n. 1 side covered veranda. The total area of ​​the villa is about 180 square meters. and the covered verandas measure about 50 square meters ..
To complete a garden of 600 square meters. partly covered by grass and partly destined to entry driveway with the possibility of parking of n. 4/5 cars of which n. 2 placed in the shelter of a pergola. The feasibility for the construction of a swimming pool is under study with the obtainment of the related concession. For Porto Rafael lovers, we have a large portfolio of over 30 properties available for sale, from the apartment to the beach villa! Many of the ads that you will find on our website www.immobiliaresarda.it on Porto Rafael are intentionally published in private negotiation or with a few photos. Tell us your data and your needs and we will send you our best proposals in the most complete form!